For all the people involved in publishing process (editors, authors, reviewers, readers and the publisher) it is necessary to agree upon standards of expected ethical behavior. In particular, editors make a great effort to meet the Committee on Publication Ethics' requirements. Editorial Board of the “Annales of Philosophy” is committed to ensuring ethics in publication and quality of articles. Ghost authorship (where the real author is not listed as an author) and guest authorship (where there is stated authorship in the absence of involvement, also known as gift authorship) are violation of the standard codes of scholarly conduct and all forms of research misconduct will be treated seriously. Remember: give proper acknowledgement or credit for all contributions to research; never plagiarize. Authors are requested to fill in a form and send a scanned document via email to provide information necessary for the editors. 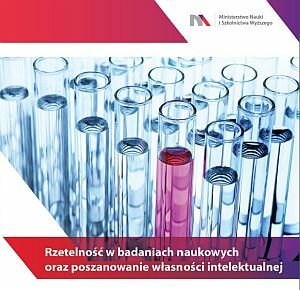 Best Practices in Reviewing System: "Dobre praktyki w procedurach recenzyjnych w nauce"
Research Integrity Policy and Respect for Intellectual Property: "Rzetelność w badaniach naukowych oraz poszanowanie własności intelektualnej"